Brandon Turkus March 1, 2018 Comment Now! The 2019 GMC Sierra and Sierra Denali are fraternal twins to the new Chevrolet Silverado, as most buyers know. 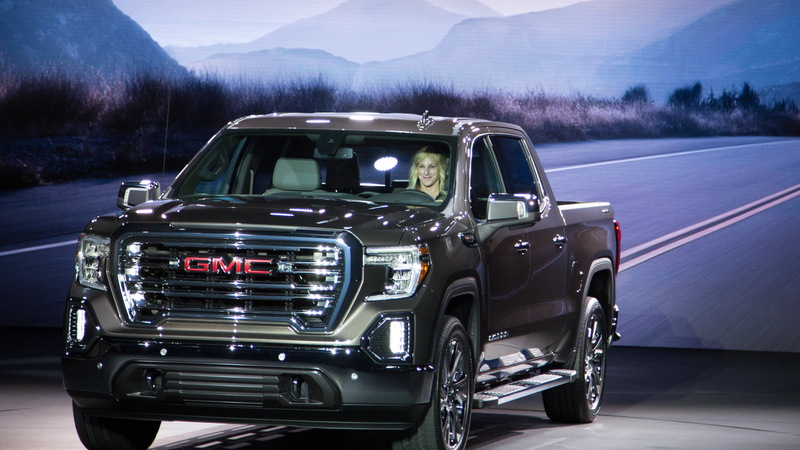 The new GMC pickups, introduced in Detroit on Thursday ahead of their official debut at this year's New York auto show late in March, nudged the conservative pickup world further into the future with new materials and a controversial optional carbon fiber cargo bed. With the lighter weight, optional carbon fiber bed, GMC one-ups the aluminum cargo box that Ford has offered in its F-150 since 2015. 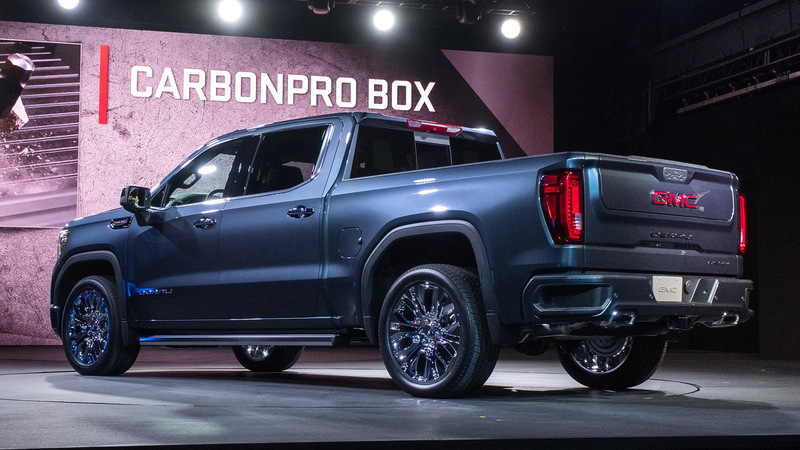 While the lightweight CarbonPro bed may lag the truck's launch by a few months, GMC says it will be more scratch, dent, and corrosion-resistant than any other full-size truck. Spray-in bedliners may no longer be a thing. On the practical front, the short bed offers best-in-class cargo volume of 63 cubic feet. A standard-size bed should be available as well, although it's not clear if the carbon bed will be available in both sizes. Another interesting new feature is the MultiPro tailgate, which GMC says offers six separate “functions and positions,” including a step entry and an assist handle. 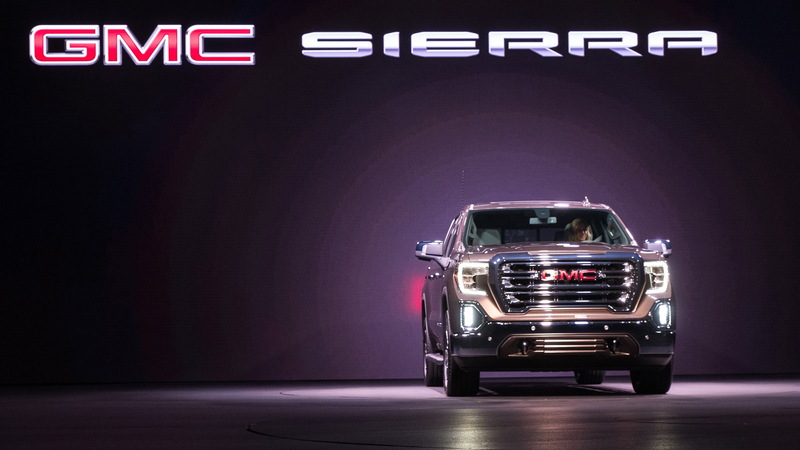 While details are sparse, the Sierra can now help users up to 375 pounds clamber into the bed. The adaptable tailgate is standard on Sierra SLT and Denali trims. For now, GMC's remaining mum on any other trim levels. 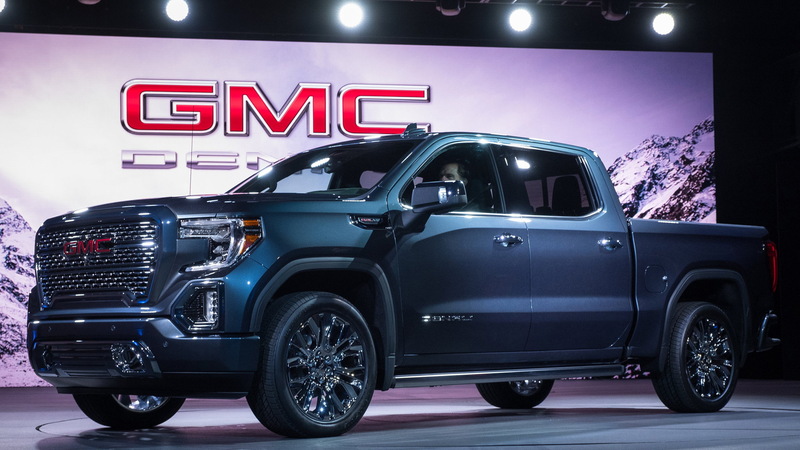 Under the hood, GMC retains last year’s 6.2-liter and 5.3-liter V-8s, while following Chevrolet’s lead by adding a 3.0-liter, turbodiesel inline-6. The V-8s will both offer stop/start technology and an advanced cylinder deactivation system called Dynamic Fuel Management. Rather than slipping into 4-cylinder mode, as GM’s current Multi Displacement System does, the new Sierra’s engine can operate on any number of cylinders from one to eight, depending on the conditions. Ten-speed automatics are fitted to the diesel engine and the 6.2-liter V-8, but GM hasn't released any other powertrain details. GMC released only a couple of exterior images ahead of Thursday's debut, but we can clearly see the influence of the Chevy’s aggressive front end on the new Sierra, particularly around the headlights and grille. In a design flourish that won't be shocking, there’s a lot of chrome. It’s a similar story with the cabin: We don’t have a lot of images to work from, so we’ll update this post with more impressions once the truck is officially unveiled. We do know the cabin will contain a lot more technology. GMC is adding a pair of popular GM features: a head-up display—remarkably, no truck maker has offered a system that projects speedometer information onto the windshield in a pickup before—and a nifty inside mirror that display a wide video image from a rearview camera. There’s also a surround-view camera system on offer to provide a bird's eye view. As for active-safety features, the Sierra will offer blind-spot monitors, low-speed automatic emergency braking, and pedestrian detection. GMC didn't specify if the safety systems would be available on all trim levels, or limited to the range-topping trims. 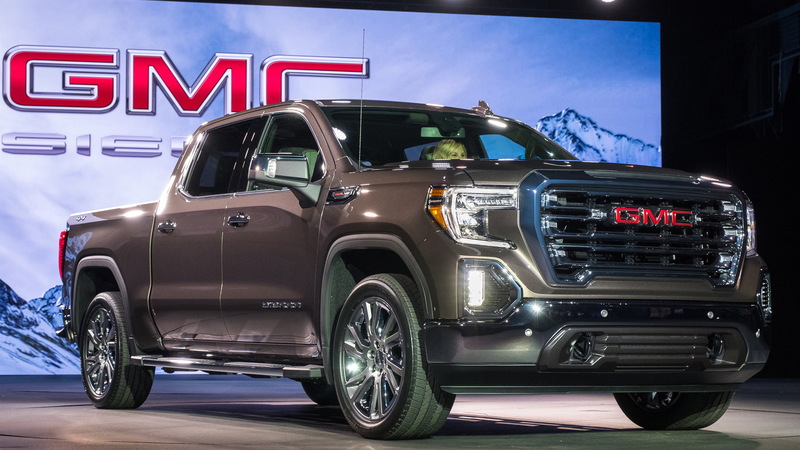 The 2019 GMC Sierra and Sierra Denali will arrive in dealers this fall, with performance and pricing data likely to arrive much closer to the launch date.